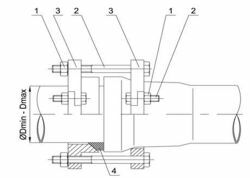 Bell and Spigot pipe repair clamps repair leaking Bell and Spigot Joints. Once installed the pipe repair clamp sealing gaskets seal around the Bell and spigot seals for a water tight retrofit. 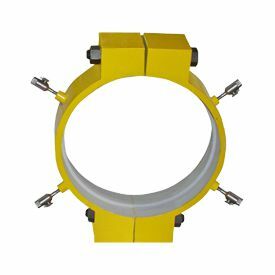 The Bell and spigot repair clamps can be installed while the pipeline is in use and is a permanent repair. 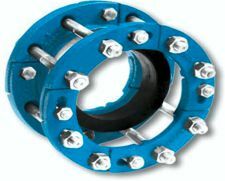 Flange Leak Repair Clamp - Repair Flange leak will pipeline remains in service.